Q: How is the quality of the wooden dog kennel, chicken coop and rabbit hutch? 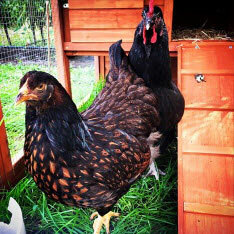 We offer one of the best quality chicken coops, rabbit hutches and kennels on the market. The quality is the same or better than what you’ll get at the high end retail shop but at a fraction of the cost.